In November 2016, US Federal Properties (USFP) was selected to provide development and property management services for a new Department of Veterans Affairs (VA) Outpatient Clinic with 79,212 rentable square feet in Mobile, Ala. 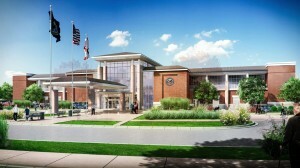 Located on Rangeline Road in Tillman’s Corner, the new facility will replace an existing, smaller clinic on the University of South Alabama campus. It comes with more than 500 parking spaces and will relieve many of the functional and utilization deficiencies of the current clinic. Construction will begin in spring 2017 and is anticipated to be complete by spring 2019. The Mobile VA clinic was awarded to USFP based on quality, price and its understanding of the project. 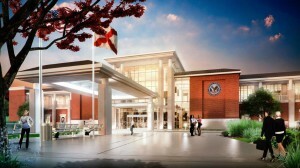 Since 2011, USFP has developed seven VA clinics throughout the United States, most recently completing a 195,000 square-foot facility in Tallahassee, Fla., which was one of the largest developer-led VA projects in the country. The company also has a 92,000 square-foot VA clinic under construction in San Jose, Calif., which is scheduled to be complete by December 2017. The Mobile clinic brings USFP’s five-year VA healthcare facility project experience to nearly 900,000 square feet. USFP has an excellent relationship and proven track record developing modern, patient-centric healthcare facilities for our nation’s veterans. The company is proud of its VA work and looks forward to building a clinic to serve the more than 50,000 veterans living in Southwest Alabama. In addition to USFP, the Mobile VA clinic project team includes Hoefer Wysocki Architecture and Meyer-Najem Construction.